Think, happy afternoon teas with friends! 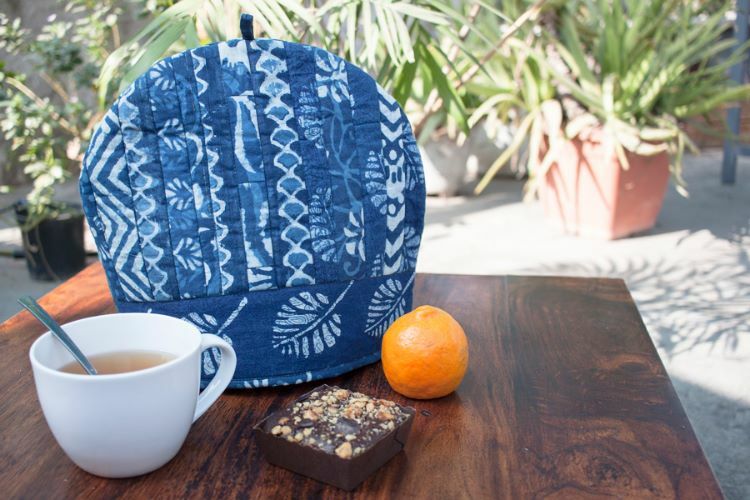 This indigo print tea cosy makes it all a little more fun. Made in Kumbaya an integrated workshop employing people with disabilities in central India.